Chhath is celebrated as thanks to the Sun God for providing the necessities of life on earth, and also for fulfilling particular wishes. It is commonly believed that the desires of the devotees are always fulfilled during Chhath. Also, the devotees dread the punishment for any misdeed during Chhath. The city remains safe and experiences peace during this time when even criminals prefer to behave. The festival of Chhath is unique to Nepal and is marked by 4 day long celebrations and rituals. 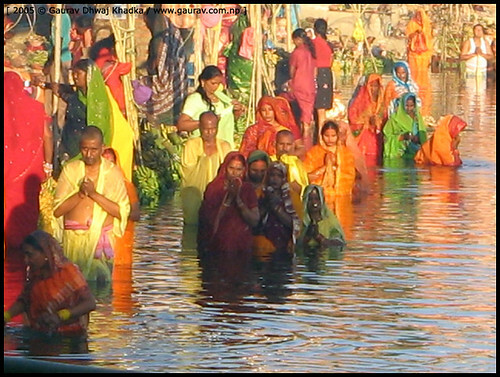 The devotees bathe in the holy rivers and ponds to wash away their sins. They also clean their homes thoroughly. The devotees observe a fast for the whole day, which is broken in late evening, after performing the pooja (worship ceremony) at home. They offer kheer (rice pudding) and fruit to the God and then this is shared with family and friends. The day is spent preparing the prasad (offerings) at home. 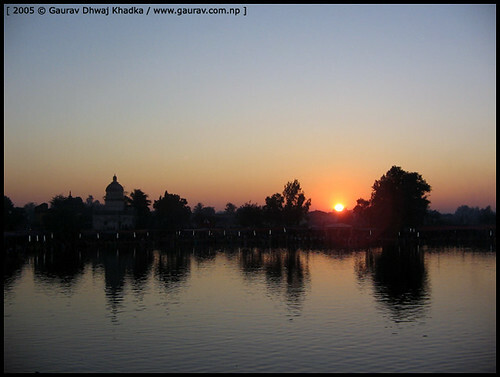 In the evening the devotees go to a riverbank or a pond where the prasad is offered to the setting sun. The devotees with their family and friends return home for another colorful celebration. Under a canopy of sugar cane sticks, clay elephants which contain earthen lamps, and containers full of the offerings, are placed Agni (the fire god) is worshipped. On the final day of the festivities the devotees, family and friends go to the riverbank. Prasad is offered to the rising sun, this time. The devotees break their fast and the prasad is shared with all the people around. Chhath is a very joyous and colorful festival. All the people dress up in their best. Devotional folk songs are sung both at home and on the riverbank. Millions of people gather at the banks of holy rivers and ponds to celebrate Chhath. The streets are kept spotlessly clean by volunteers, who also decorate all the streets leading to the river. The prasad includes sweets and fruit kept in small baskets made of bamboo strips. The food is strictly vegetarian and it is cooked without salt, onions or garlic. Emphasis on put on maintaining the purity of the food. Once a family starts Chhath Pooja, it is continued annually by the following generations. If unable to perform the pooja themselves for personal reasons, it is recommended that one should assist someone else who is performing the pooja by providing funds or the prasad instead of completely missing the pooja. The splendor of Chhath is some thing to experience and enjoy. There are beautiful folk songs sung for Chhath. It is sad that most of them are passed down in families but are not recorded for others to hear and enjoy. Sun rising on the Ganga Sagar at Janakpur. A man about to immerse in Ganga Sagar a holy pond in Janakpur on the occasion of Chhath pooja. Thousands of devotees gathered on the banks of the Holy River and ponds to pay respects to the Sun God. Special prayers were conducted for the welfare and prosperity of their families. Preferably, it is the bounty of fresh harvest, which is considered apt offering to the Sun God. The festival is celebrated six days after Tihar. It is especially significant for married women. They observe a two-day fast and offer prayers while keeping almost three-quarters of their body immersed in water for two hours. Devotees are taking holy bath at the ghats in Ram Sagar, another holy pond in Janakpurdham on the occasion of Chhath pooja. Peoples are enjoying the last day of the Chhath pooja at the ghats in Ganga Sagar, a holy pond in Janakpur. 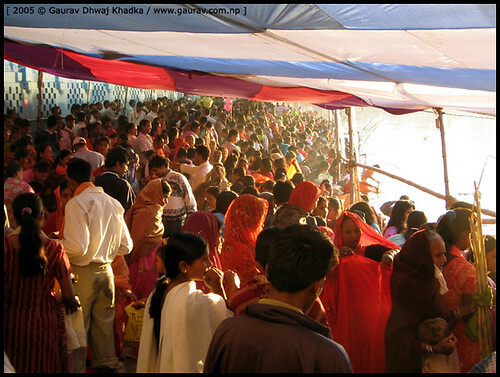 Find out more about Chhath pooja at here. May Sun God fulfills your all dream, Have a happy Chhath pooja to you all!! On the final day also known as Bhai Tika Day, sisters give tika (a colored powder placed on one’s forehead), and mala (a necklace of flowers or also known as flower leis, similar to that’s used elsewhere like in Hawaii!) to brothers along with wishes for long life and prosperity. To sisters, Tihar is also the time to re-call their continued wish for a long and a happy life for their brothers. Brothers sit on a floor while sisters perform their puja. Puja involves following a traditional ritual in which sisters circle brothers three times dripping oil on the floor from a copper pitcher. Afterwards, sisters put oil in brother’s ears and hairs, and then give Tika. Also breaking of walnuts by sisters prior to giving Tika to brothers is also a common practice. Tika starts with placing a banana leave already cut into a line shape placed on brothers forehead held by one of the sisters hand, then applying Tika base (made from rice paste) in the open space. Then sister dabs seven colors on top of the base using her fingers. Some may give Tika with the help of a small stick or a brush without the using banana leaves. In this case, small stick is dipped into the Tika base, and then brushed vertically on the forehead, then using a different stick; the seven colors are applied on top of the base. After Tika, flower garland is put around brother’s neck. Then brothers give Tika to sisters in the same fashion. Sisters also receive flower garland around their neck. Brothers give gifts such as clothes or money to sisters while sisters give a special gift known as Sagun (which is made of dried fruits and nuts, and candies), and a fantastic Tihar feast takes place. Those without a sister or brother, join relatives or friends for Tika. Sisters pray for their brother’s long life to the Hindu God of Death (Yam Raj). Find out more about Tihar at here. Happy Tihar to you all! P.S. Bhai Tika was on 11 November, sorry for late post. Male members sing what is called Deusi or Deusuray in Nepali. You can write just about any Deusi song as long as each line ends with the word `Deusi’ or `Deosuray’. A group of males get together, carry what-ever musical instruments they have or can play, and sing Deusi door to door blessing the home and family in return for money and/or refreshments. Teenagers perform various Deosi songs to collect money for their picnic! Some may play Deusi to collect money to build a new trail in a far away village in Nepal! During the Tihar festival the only kind of songs you are most likely to hear from local Radio stations are nothing but Tihar Songs, Bhailo, Deusi and folk songs about sisters or brothers unable to see each other during the festival due to various reasons. A poor sister, now a daughter-in-law may not get even a day’s break to visit her brother on this special day, and she might sing a song to make your tears flow! 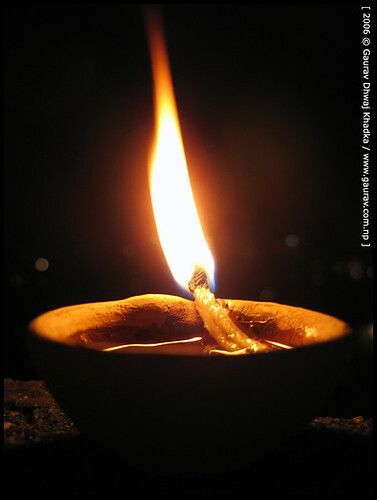 Mahapuja – The fourth day of the Tihar is also about worshiping yourself. This puja (worshiping) is known as Mahapuja. This is also the first day of the special annual calendar of an ethnic group known as Newar residing in Nepal. The coming of a new year is also celebrated in Tihar. Also a popular ritual of the day is the Govardhan puja or Goru Tihar (Oxen Worshiping). Oxen are worshiped on this day as they till lands and help grow crops to sustain life. One of the most important days of the festival is Laxmi Puja on which day the Goddess of wealth Laxmi is worshiped in every household in the entire Nepali Kingdom by means of Puja, decoration, candle lights, and oil lamps. 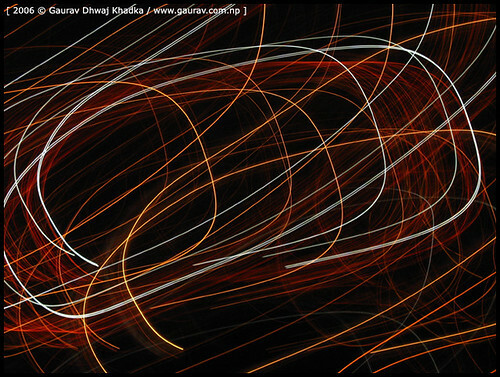 In this 3rd day of the Tihar Festival, the entire nation becomes an illumination of lights. Pictures and icons of Laxmi Devi (Goddess) are placed and worshiped in a Puja room (or a place in a living room or a dedicated room for worshiping Gods) Puja is performed using flowers, incense, oil lamps, color-powders, bell and money (both notes and coins). Laxmi puja is performed at dusk using red mud, and puja is often done by a female in the family. She uses her hand covered with red mud to make a symbolic foot-print on the floor entering the home and makes a trail leading to the Puja room. Laxmi puja is not only for households but is equally done by Companies. Business Laxmi Puja is done exactly the same way as is done in home. Usually company’s cashier performs the puja during which time the entire office including office compounds are lit with various lights including electrical, candle lights, and oil lamps and usually staffs are invited to participate in the puja procession. Bhailini Songs: The eve of Laxmi Puja Day is made spectacular not only by lights but also by echos of a special song known as Bhailo or Bhailini that’s played only on this day in the entire year! A group of girls get together and sing Bhailo door to door, giving blessings to the family in return for money or homemade treats. The 3rd day of Tihar is about worshiping the mother of the universe – cow (Gai). According to Hinduism, the human infant is fed breast milk by its human mother for under three years. After weaning, the cow acts as the surrogate mother providing milk for the rest of the human life – through childhood, adult age and old age. Cows are the mothers of the universe, the sacred animal. 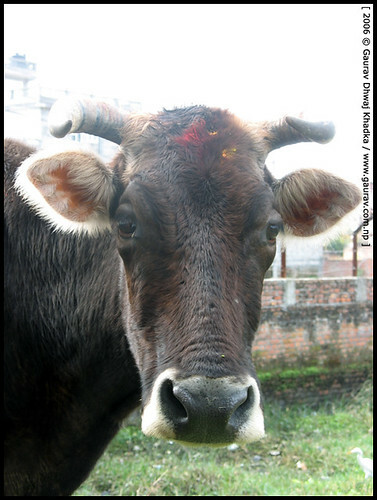 The cow puja is performed by giving a tika to a cow on her forehead, and a flower garland (Flower Leis) on the neck, and offering good meals. Those performing Cow puja place her manure in different parts of the home; drink a drop or two of the cow’s urine, as a part of a purification process. Also dip a blade of grass into the urine and lightly sprinkle it on each other’s body to become closer to the mother of the universe – cow. On the second day of Tihar, Kukur (Dogs) are adorned with flower garland around their necks, red tika on their forehead, and are offered great meals, and they are the king of the day! On this day, people pray to the Kukur to guard their homes. Call someone "Kukur", he/she will bash you instantly! 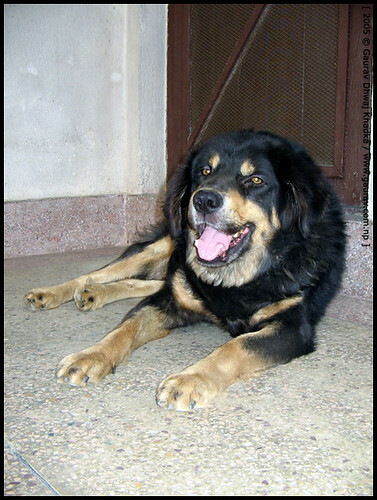 There are lots of Kukur running around in search of a loving home. You can find them on streets and in your backyards, but on this day, even the most unsightly Kukkur will be treated like a king, everyone has a day. Tihar is also about breaking the boundaries only men created, "The Good", "The Bad", "The Ugly", and all but same to the mother nature! In Hinduism it is believed that Kukur guard’s the underworld empire just like it guards our everyday homes! Tihar is about loving Kukurs too! Tyson my beloved friend long gone to heaven but he will be still in my heart always. Here comes Tihar to teach you a lesson! Early in the morning of the first day of Tihar, family prepares a good meal. Each member of the family takes the first portion of the meal outside on a platter. The crows come down in large numbers and partake of the feast; they will call others before beginning to eat: Share, Share what you have with all! 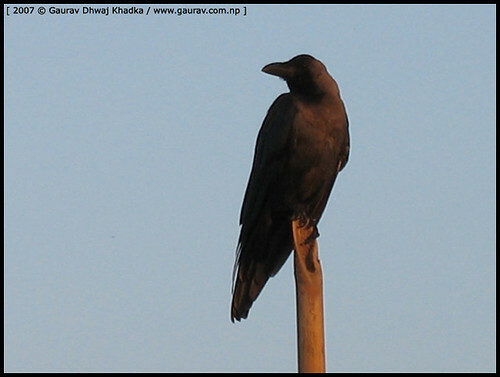 Crows (Kag in Nepali) are considered as the messenger of the Lord of Death, Yama. There is a popular Nepali superstition of crows too: When the crows caw, sadness is coming.) On this day crows are worshiped and are kept happy. Where there are no crows, any winged animal of the heavens (bird) will enjoy the feast. So Tihar is also about appreciating animals around us. 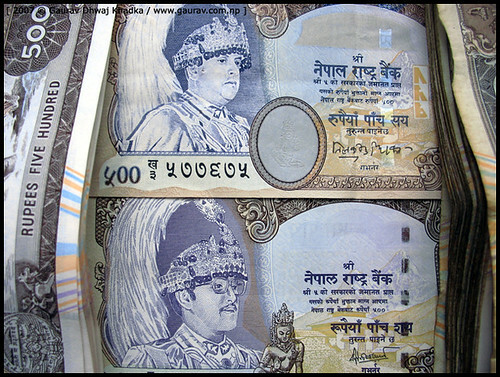 Find more about Tihar at here. You are currently browsing the NEPALPHOTOGRAPHY.org blog archives for November, 2007.